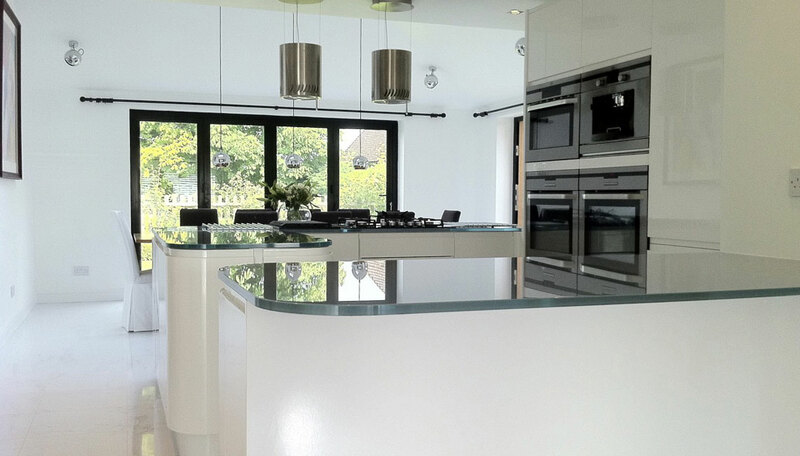 Choosing glass for your worktops can add a complete new dimension in your home. Easy to clean and very hygienic they are the perfect work surface. Toughened glass is used for safety and strength as standard. Use for kitchen worktops or in bathrooms for vanity tops, or create a unique table top. 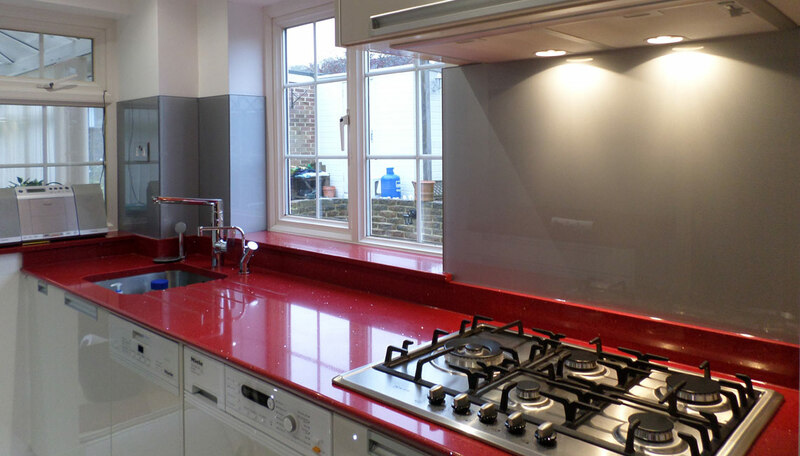 Glass worktops can make your home look amazing. Painted to any colour, and with different finishes including rainbow sparkle effect. 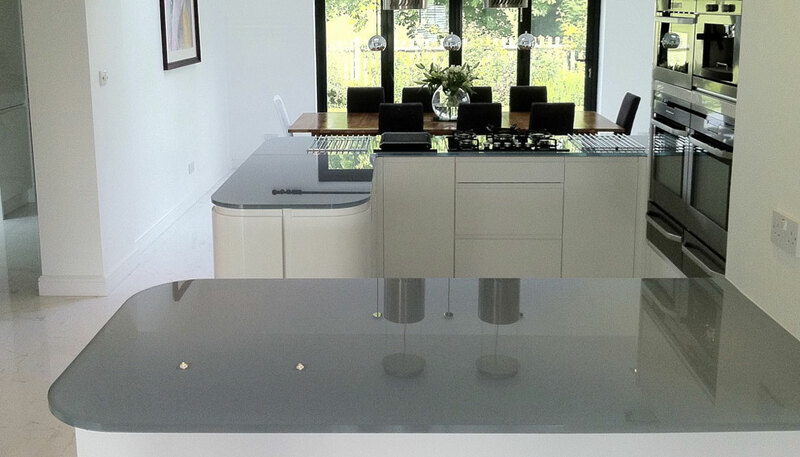 All worktops can be produced incorporating CNC cuts for hobs, sinks, taps, along with drainage grooves. They are easy to keep clean. Add a modern look to your home. A full template and install service is available. 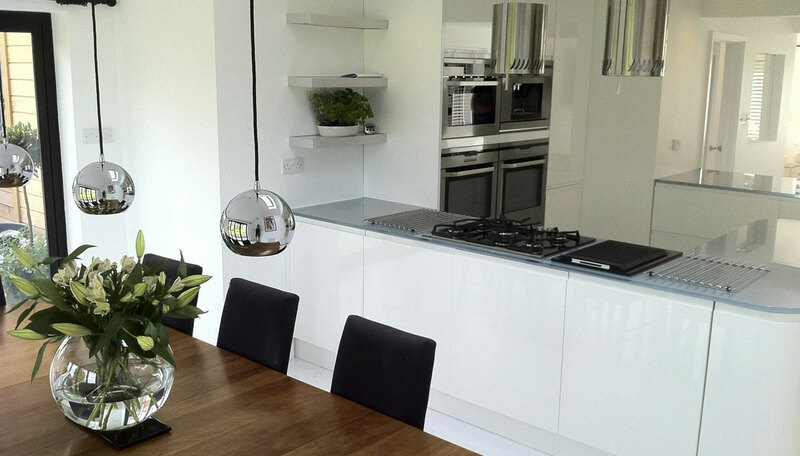 Why Choose Our Glass Worktops?